This is reflected in what our patients have to say about us. 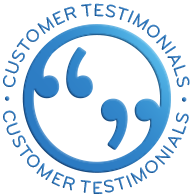 Pricing may have been the reason they first contacted us, but as you can see from their testimonials the common element is our service. So if you are considering improving your hearing, give Focus Hearing a call and let us help you through the process. “Having had my Phonak hearing aids for 12 months now, I want to let you know how marvelous they are and what a difference they have made to my daily life. I wear them all day, every day, because they are very comfortable and give me such clear, sharp hearing. I’ve been so surprised to hear the sound of a clock ticking, car indicators, etc and, best of all to feel I can communicate better with those around me, and at meetings where microphones are not used. As a bonus, I love being able to answer my mobile with one touch on my hearing aid (even though people think I’m talking to myself). You were recommended to me by a friend who has major hearing problems, and from the first consultation I had immediate confidence in you, so I would not hesitate to recommend you to anyone feeling nervous about the possibility of needing aids. I have struggled to come to terms with the fact I need hearing devices. I am still young and not proud to say my ignorance towards hearing loss and devices has always been towards elderly people. However, after way too many embarrassing moments, I realised I needed help. A few months ago, I went to an audiologist who allowed me to trial a few different types of devices, however, he suggested I stop being stupid and get over my issues associated with the cosmetic stigma. He recommended I purchase a ‘funky’ coloured pair of Behind The Ear devices in order to stand out and make a statement and to overcome my issues which he didn’t understand. The audiologist tried to convince me that the best and most suitable option was the BTE (the most visible) device, along with the advanced technology as apparently this is what I needed. Obviously, these devices came with a hefty price tag of almost $9000. I did not commit to those devices, nor did I return to that centre, instead I went home and researched my options. I then found Kris from Focus Hearing. I sent off an inquiry late that night, and immediately the following morning I received a phone call from Kris inviting me in for a consultation. Immediately I knew I had found someone professional. From the moment I met Kris, I felt completely comfortable. Kris was very sympathetic and supportive and fully listened to my concerns and needs. Kris conducted his own hearing tests and was very thorough making sure he captured everything he needed to know about my hearing loss before giving his professional diagnosis and recommendations. Kris even demonstrated my test results on the white board to ensure I fully understood my actual hearing loss and why he recommended the devices he did. Guess What? I did not need the top of the range hearing devices for my level of hearing loss, nor was the BTE devices my only option. Kris suggested I consider the silk devices which sit discretely inside the ear canal and are more comfortable in comparison to the custom-made inner ear devices. The biggest surprise was the price. Kris saved me several thousand dollars. I was surprised how well the silk fitted in my ear, not to mention the comfortability in comparison to the custom-made inner ear devices. The sound is excellent and very natural. The only adjustment I needed was to increase the sleeve size from small to medium to fit my inner ear better, but that all part of the initial process as the silk is not custom made to fit. At the end of the day, Kris is just amazing. He takes his time to explain everything. He is respectful and genuinely cares about your needs and concerns and will do whatever he can to accommodate. Kris, you are a true credit to yourself and your business and although I am feeling quite challenged with the initial stages of wearing these devices for the first time, however, I know I have your ongoing support and help. Since meeting you Kris, I have developed a different mindset and respect for my current and future hearing needs and just how important my ability to hear properly will greatly impact my quality of life. Despite the fact that my partner kept telling me I was going deaf, I didn’t believe it until I met up with a friend in a noisy restaurant and realised that I was nodding like I understood what she was saying but I really was only catching a few words in the sentence and guessing the rest. I live in Newcastle NSW, so I asked around and it was suggested I go to a hearing clinic at the Kotara shopping centre. I made an appointment and appeared at the requested time - the person I saw was very nice - she tested my hearing and told me I did need hearing aids and she recommended Oticon as the brand of choice. She then told me that there were three levels of Oticon hearing aid for me to consider which ranged in price from around $5,000+ to $13,000+. I got the impression that the price range was quality based and if I could afford it, the $13,000 model had all the bells and whistles. $13,000 is a lot of money, particularly when you don’t think you’re really deaf, so I asked for the associated brochures to enable me to consider my options and off I headed home to contemplate my up-coming purchase. The short answer to your question is, a pair of the Oticon Alta 2 Pro hearing aids is $7500. There isn't much difference in cost as pair of the equivalent technology (Premium) in the Opn range is $7750.